This article was published in the Monthly Review. Bernard D’Mello (bernard@epw.in) is deputy editor, Economic & Political Weekly, and a member of the Committee for the Protection of Democratic Rights, Mumbai. He thanks Gautam Navlakha for his comments and suggestions on an earlier draft. The usual disclaimers apply. This article has appeared in Seminar, 607, March 2010 in a symposium – “Red Resurgence” – on the Naxal/Maoist challenge to the state. The black man calls you Naxalite today. But everyone will call you the morning star tomorrow. It has been a long and tortuous route. Forty-three years ago, a group of Maoist revolutionaries conceived of and embarked upon a revolutionary road that still inspires their political descendants, alarms the dominant classes, and provokes slander and denigration on the part of the establishment left, post-modernists and well-funded NGO bosses. This is the path of protracted people’s war (PPW). It relies on an alliance of the Indian proletariat with the poor and landless peasantry and the semi-proletariat to establish ‘base areas’ in the countryside, run them democratically as miniature, self-reliant states, carry out ‘land to the tiller’ and other social policies there, thereby building a political mass base to finally encircle and ‘capture’ the cities. The aim is to usher in ‘new democracy’, a transitional stage in which capitalism is moulded to render it more compatible with democracy, thereby aiding the transition to socialism, all under the leadership of a ‘Marxist-Leninist-Maoist party’. One would like to say, ‘It’s been a long time coming’, but even today, the Maoist movement in India is nowhere near its ‘new democratic’ goal—the dawn has been ever elusive. Yet, the dominant classes want it throttled, and the Indian state has recently launched Operation Green Hunt—phase-2 of its present counter-insurgency strategy—to accomplish its task. What has prompted this move? The following appeared prominently on a new website created by the Unified Communist Party of Nepal (Maoist). Twenty first century is the century of information revolution. Globalization of information, thanks to the internet technology, has reduced the entire globe into a small rural unit. And, due to this, any positive or negative development in any corner of the earth can have its impact on the whole world in the blink of an eye. The time we are living in is–as Lenin pointed out– the era of imperialism and proletarian revolution. But, because of internet technology and the globalization, some features of imperialism—its mode of hegemony—are not, needless to say, the same as they were in the 19th century. It’s obvious and logical consequence is that this very change can have a generous say upon the characteristic of contemporary proletarian revolution, into which the historical document of our party’s second national conference ‘Great Leap Forward : The Inevitable necessity of history’ delves lucidly. What can be the role of media in the establishment, defense and development of People’s Democracy? How the media can be one of the weapons of people’s scrutiny and control upon the state in the system of democracy in the 21st century? These questions, by the way, demand more time and effort to be answered. 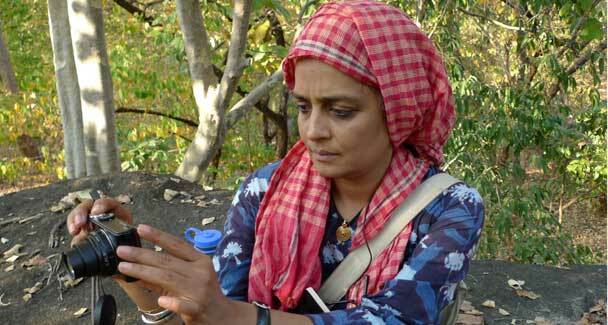 Arundhati Roy during a visit to the forest where she broke the taboo of of interviewing Maoist guerrillas in their base areas. 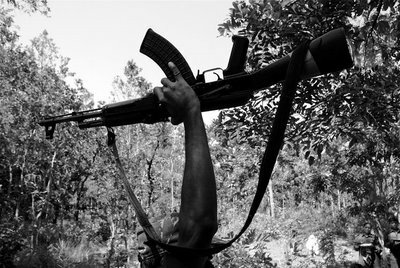 Last month, quietly, unannounced, Arundhati Roy decided to visit the forbidding and forbidden precincts of Central India’s Dandakaranya Forests, home to a melange of tribespeople many of whom have taken up arms to protect their people against state-backed marauders and exploiters. She recorded in considerable detail the first face-to-face journalistic “encounter” with armed guerrillas, their families and comrades, for which she combed the forests for weeks at personal risk. This essay was published on Friday in Delhi’s Outlook magazine. 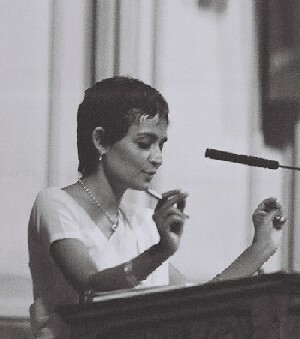 Arundhati Roy made the pictures in this 20,000 word essay available exclusively to Dawn. The following was first posted on Dawn.com. Kasama urges all readers to give it close attention and wide circulation. The terse, typewritten note slipped under my door in a sealed envelope confirmed my appointment with India’s Gravest Internal Security Threat. I’d been waiting for months to hear from them. March 7, 2010 — I can’t leave home for a few weeks without everything going crazy. It took a bit for my time to adjust, to see things as they are coming here and where they’re coming from. Not the instant back-and-forth rhythm of New York multi-tasking anxiety time. Most days the electricity is out in Kathmandu. You can hear chickens in the morning, children playing after school and quiet talk at night when the old women laugh and call across the rooftops. Blackouts make working a computer hard, but the pace of people living by hands and minds alone, without so much mediation, is not a place I’ve ever spent much time. And I do love it here. The city is dirty. The people are upright, direct and curious…. Did I mention there is a revolution going on? We haven’t seen a revolution in our lifetime. Not a communist revolution anyway, with broad support and participation sustained, growing over such a short period of time. The Maoists are unorthodox, to be sure. They have defied everyone’s expectations, friend and foe alike. To their credit, they haven’t let their enemies tell them who they are or been confined to some historical script handed down by the Comintern in 1930-whatever. After a 10-year People’s War, starting in 1996, they grew exponentially among the rural people who make up the heart and body of Nepal. We received the following statement from the International Campaign against the War on People in India. On March 20th, media published the news that com. 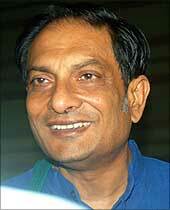 AZAD, Spokes Person of CPI(Maoist) was arrested and there was a demand for his release. The information was passed on from DK Special Zone committee’s spokes person com. Gudsa Usendi and Com. 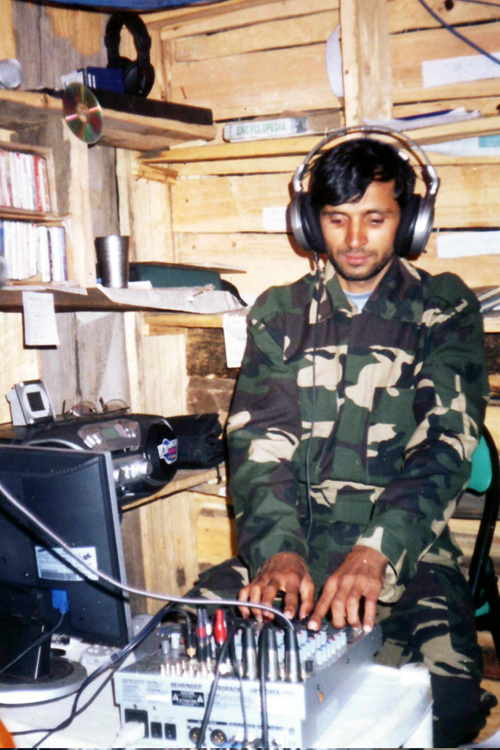 Pratap, spokesperson of Central Regional Bureau of our party. Com. Azad is safe. The information that he was under illegal detention was incorrect. Com. Azad was supposed to meet com. Shakamuri Apparao @ Ravi in somewhere in Maharashtra. After learning the news of the martyrdom of com. Apparao, Azad did not reach there. Since he could not give feedback to the concerned comrades why he did not reach, there was this confusion. It is natural to get suspicion in the present conditions that Azad was under illegal custody of the notorious APSIB. Com. Shakamuri apparao and com. Kondal Reddy were caught in Chennai and Pune respectively and were killed in cold blooded fashion. Chidambaram knows their arrest and gave a go ahead to this brutal and fascist extra judicial killing. It was genuine mistake from our Central Regional Bureau and DK Special Zonal Committee. The incorrectness of the statement occurred owing to the conditions we are in. In fact, com. 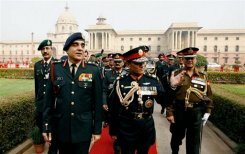 Azad sent his replies to Chidambaram’s rubbish on “truce and talks” to media on 12th March. Unfortunately media has not covered. We request the media to give ample coverage to this information to dispel the confusion. We learnt that com. Azad mother had already submitted a memorandum to AP State Human Rights Commisson. We extend our thanks to the organizations who responded with great concern to the news of arrest of com Azad and demanding his release. This article appeared in Telegraph Nepal on March 16, 2010. With the prospect of timely drafting of New Nepal Constitution unlikely, some high ranking Nepal Army Generals are set to discuss country’s situation beginning March 16, 2010 at the Nepal Army headquarters. “The Army Generals will discuss strategies to be adopted by the Nepal Army in the scenario that Nepal’s political actors fail to draft the constitution on time”, reports reveal. The constitution drafting deadline is set to expire May 28, 2010. The Nepal Army Generals representing all five development regions of the country and various “key” departments of the Army have been summoned to the capital to take part in the emergency meeting, it has been reported. “Some 35 to 40 generals will be attending the meeting”, reports add. “Deteriorating law and order situation and increasing criminal activities along Nepal’s border with India and China are also to figure during the meeting”, say reports quoting NA high placed sources. “The decision of the meeting will be kept a guarded secret”, add sources. We write to express profound shock and outrage at the cold-blooded murder of Sri Lalmohan Tudu, President, Pulishi Santrash Birodhi Janasadharaner Committee (Peoples’ Committee against Police Atrocities) and two other persons, Yubaraj Murmu and Suchitra Murmu, all of whom were murdered by the CRPF at Narcha village near Kantapahari in Lalgarh, during the night of 22nd February. We draw your attention to the unfortunate fact that the murders were just the latest in the series of murders, rapes and arrests of Adivasis that the police and paramilitary forces have unleashed across the Lalgarh area of West Bengal over the past six months. We also draw your attention to the fact that murdering the leader of a mass movement is a crime so heinous that no language has the words to condemn it. The police and the CRPF have presented constantly changing versions of the murder, all of which portray Lalmohan Tudu as a dreaded Maoist leader who was killed while he was perpetrating some heinous crime! The initial version claimed that he was killed in an exchange of fire while trying to attack the fortress-like Kantapahari CRPF camp together with a group of Maoist cadres. A later version changed that: he was killed when a Maoist squad, to which he belonged, was apprehended by a CRPF raiding party. These versions are downright lies. We has received the following statement from the International Campaign against the War on People in India. 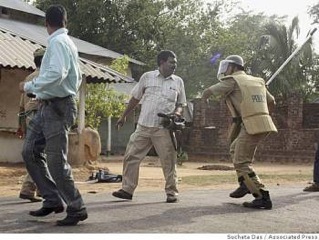 Condemn the Illegal Abduction and Detention of Azad, the Spokesperson of CPI(Maoist) by the Andhra Pradesh Police! Ensure the safety of Azad’s life and his immediate production in a court of law! 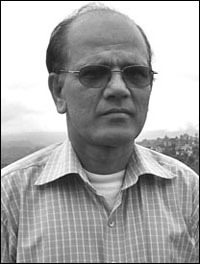 The Central Committee of the CPI(Maoist) informed the revolutionary poet Varavara Rao that Azad, senior leader, Polit Bureau member and the spokesperson of the CPI(Maoist) has remained untraceable from 12th March 2010 onwards. There is a strong possibility that Azad has been kept in illegal custody by the Andhra Pradesh police since then. Azad must have been arrested near Mumbai on 12 March 2010 as per the sources of CPI (Maoist). Given the history of the AP police and its special anti-Naxal force Greyhounds and intelligence wing of the AP police in gross human rights violations, whereby it has repeatedly resorted to fake encounters and custodial killings, there are grounds to believe that his life is in grave danger. Last week itself, as the media has reported, two senior leaders of the CPI(Maoist), Sakhamuri Apparao and Kondal Reddy, who were arrested by AP police from Maharashtra, were abducted, subjected to brutal torture and killed in cold blood. Thereafter the dead bodies were taken two separate districts of Andhra Pradesh, the police claiming that they were killed in ‘encounters’. Such illegal acts of repression have been regularly committed by the AP police in the name of countering Naxalism, and Azad might also meet a similar fate. We demand that Azad be produced before a court of law as per the legal requirements, if there are any cases pending against him, or should be immediately released. The Union Home Minister P Chidambaram must not allow Andhra Pradesh police or any others to kill the CPI(Maoist) spokesperson Azad, and produce him in a court of law. We demand that the Central Government immediately halt its war on people named Operation Green Hunt, and initiate a dialogue with the concerned organisations. The following is a statement of the Central Committee of the Communist Party of India (Maoist). PRODUCE COMRADE AZAD (CHERKURI RAJKUMAR), POLITBURO MEMBER AND SPOKESPERSON OF THE CPI (MAOIST) BEFORE THE COURT IMMEDIATELY,WHO WAS ABDUCTED BY POLICE AND INTELLIGENCE AGENCIES! OBSERVE 48-HOUR BANDH ON 22-23 MARCH 2010 IN SIX STATES IN PROTEST OF KILLINGS OF PARTY LEADERS IN FAKE ENCOUNTERS, EXTRA-JUDICIAL DETENSIONS AND BRUTAL TORTURES!! Notorious AP SIB once again killed two senior party leaders – Comrade Shakamuri Apparao and Comrade Kondal Reddy in two separate fake encounters on March 12, 2010. Comrade Apparao was abducted a few days back and Comrade Kondal Reddy was abducted on March 11th night from different places and the lawless killers of SIB shot them dead and concocted stories of encounter were released as usual. On the same day, Politburo member and spokesperson of our party – CPI (Maoist)- Comrade Azad, whose real name is Cherukuri Rajkumar, was also abducted by these licensed killers. Comrade Azad was supposed to meet Comrade Apparao on that day and both were supposed to visit Dandakaranya Guerilla Zone. But we lost contact with him since then. Home minister P. Chidambaram and his police and intelligence officials might have definitely abducted him in a planned way. This article appeared in the Indian Express on March 14, 2010. National vice-president of People’s Union for Civil Liberties (PUCL) Dr Binayak Sen has said the action against Maoists is only accentuating the problem of malnutrition in tribal areas. He was speaking at the sixth I G Khan Memorial Lecture on ‘Violence and justice in our times’ at Aligarh Muslim University (AMU) on Saturday. Putting figures on the table to drive home his point, Dr Sen said malnutrition should be the most pressing concern of the government. The great People’s War that our party initiated on February 13, 1996 was aimed at accomplishing the New Democratic Revolution, the first stage to clear the way forward to socialism and worldwide communism. In order to achieve the minimum strategic goal of New Democratic revolution in Nepal we have been applying various tactics in compliance with the concrete analysis of the concrete conditions. When the deposed monarch Gyanendra usurped the whole power with the strength of reactionary army, the political contradiction between the entire masses on the one hand, and the king on the other, came at the forefront. Objectively, it created a situation at which the political parties that claimed themselves as democratic ones could be brought together in a fight to establish democratic republic. Based on the 12-point understanding the tactical unity between seven political parties and ours was the correct implementation of firmness in strategy and flexibility in tactic on our part. The abolition of monarchy and establishment of democratic republic from the first meeting of the Constituent Assembly is an important step forward to our minimum strategic goal of New Democratic Revolution but it is not the New Democratic Revolution itself. This article appeared in World News on March 8, 2010. According to the two women wearing the white clothes of mourning, Lalmohan Tudu was a well-loved husband and son, a man who only wanted to help his village. They say the farmer, a tribal rights activist, was seized near his home by police who then shot him dead in a nearby paddy field. 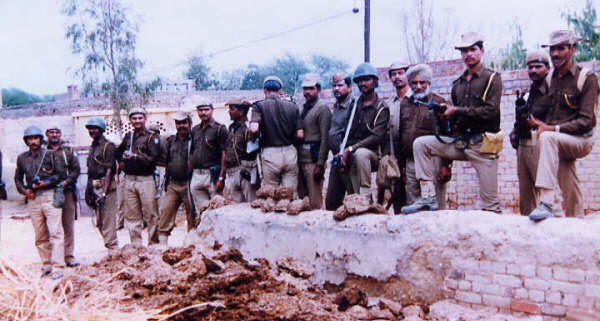 But police say the 50-year-old was a dangerous rebel, the head of a Maoist front group that was terrorising the area. He was killed, they insist, in an exchange of fire after his group attacked a police patrol. This article was posted on Nepal News. 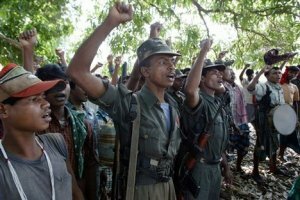 Amid reports of the Unified CPN (Maoist) preparing to table no-confidence motion in the parliament in an attempt to topple the 22-party government, a senior Maoist leader has claimed the party is not making such preparations. Speaking at the Reporters Club Monday, Maoist standing committee member Amik Sherchan said rumours of the party preparing to seek no-confidence motion are not true. Sherchan, a former Deputy Prime Minister, said Maoist party was only mulling over requesting a special session of the parliament to discuss the current political deadlock and the deteriorating law and order situation. He however claimed that his party would get clear majority in the House it it really tries to topple the government. He also reiterated his party’s stance that a national unity government is a must to make sure the new constitution is written within the prescribed time and bring the peace process to a conclusion. Speaking at the same programme, Nepali Congress vice president and UML secretary Yuba Raj Gyawali described the ‘Maoists’ exercise to table no-confidence motion’ as an untimely move, expressing confidence that the motion would be easily voted out in the parliament. 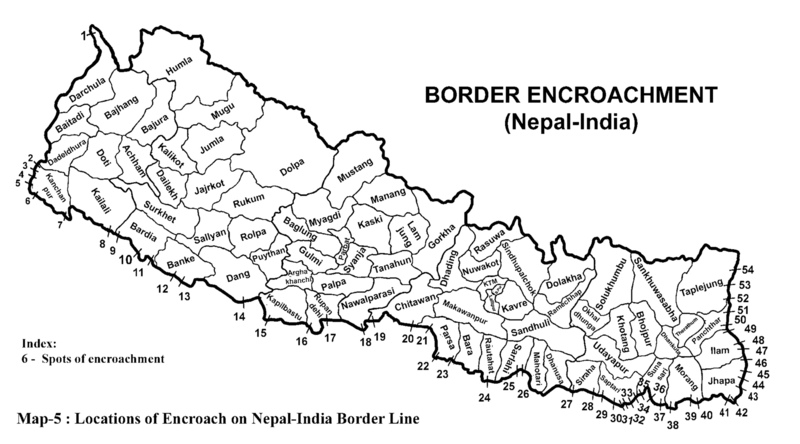 Nepal’s Parliamentary Committee for International Relations and Human Rights has declared that in almost all locations along Nepal’s open border with India, Nepali territories are being illegally occupied by India. The committee points out that due to past unequal treaties signed with India, Nepal was facing trouble in its relations with India including the border encroachment problem. The committee submitted a report to the chair of Constituent Assembly Mr. Subash Chandra Nembang, March 17, 2010, wherein it has been mentioned that along 15 districts where the parliamentary delegation made visits, it was found that India has clearly encroached upon Nepali territories. In Susta of Nawalparasi district, India has occupied 14 thousand hectares of Nepali Lands. Similarly, India has been illegally occupying some 62 thousand hectares of Nepali lands in Kalapani since 1962. The committee also suggests government of Nepal to scrap the unequal treaty of 1950. G.N. Saibaba is Assistant Professor of Literature at Delhi University. He is one of the most vocal voices of the democratic opposition and has played an important role in bringing together diverse trends against the ruling elite. Saibaba represents the Revolutionary Democratic Front (RDF). Q: The “India Shining” campaign promised industrialisation and increasing wealth for the poor majority. Did this become true? The application of globalisation policy in India meant benefits first of all for the ruling oligarchy. A handful of families are in full control of the levers of power. Thanks to their position they could amass huge fortunes, particularly in the last twenty years. Eventually among the list of billionaires there are a lot of Indians. The concentration of wealth has been growing rapidly while some 80% of the population has to live on less than half a dollar a day and can hardly afford a daily meal. According to the government’s own statistics this was not the case two decades back. India pursued globalisation policies in the most aggressive way, as there are vast untouched resources available on which the western powers and especially the U.S. want to get a hold. But huge poverty also evokes huge conflicts. In the last six years we entered a new phase called “Second Generation Reforms”. Q: What is the difference with its predecessors? The first phase was marked by the liberalisation of the economy and the legal framework. It was mainly based on the IT sector. But there was little foreign investment. This has been changing. Several hundreds of memoranda of understanding (MOU) with multinational corporations (MNC) have been signed, mostly related to the exploitation of natural resources. Mainly in central and eastern parts of India there are enormous deposits of iron ore, coal, bauxite, limestone and other minerals the western powers want to tap. Thus incredibly huge swathes of land are being awarded to the MNCs.